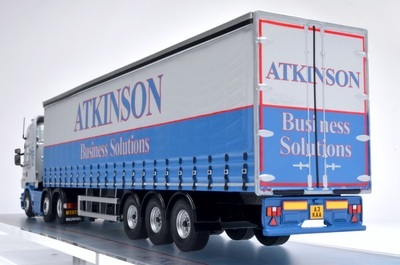 A fantasy livery of a fictional haulage company commissions for a birthday gift for the clients father. Model design was rendered as a 2D visual based on the clients sketch prior to making the final model. 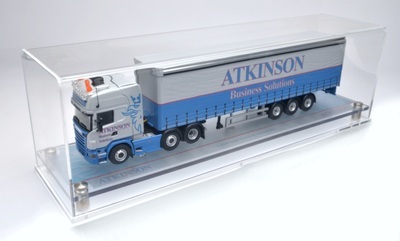 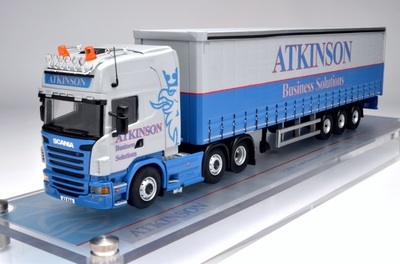 This 1:50 scale model was mounted in a contemporary acrylic display case with a bespoke designed base label. 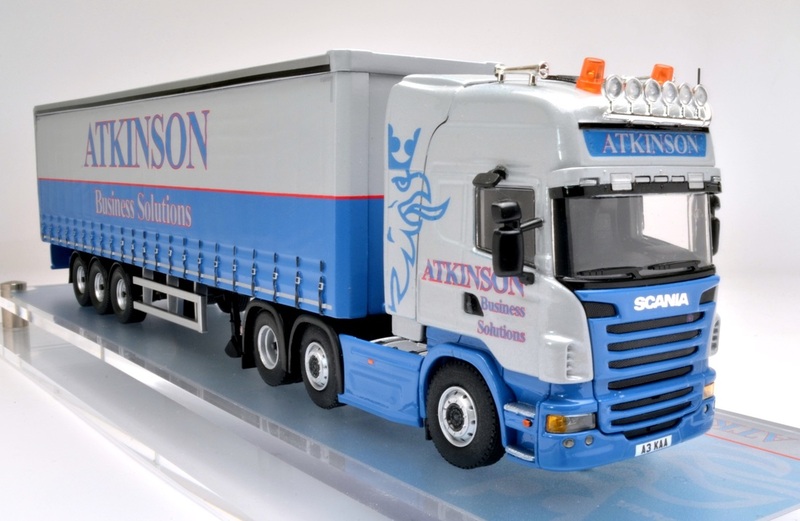 Client said:- I just wanted to confirm that the Model Scania Birthday present for my Father has arrived safe and sound. I am extremely pleased with all the work that has clearly been put into building it with an incredible amount of detail being added. 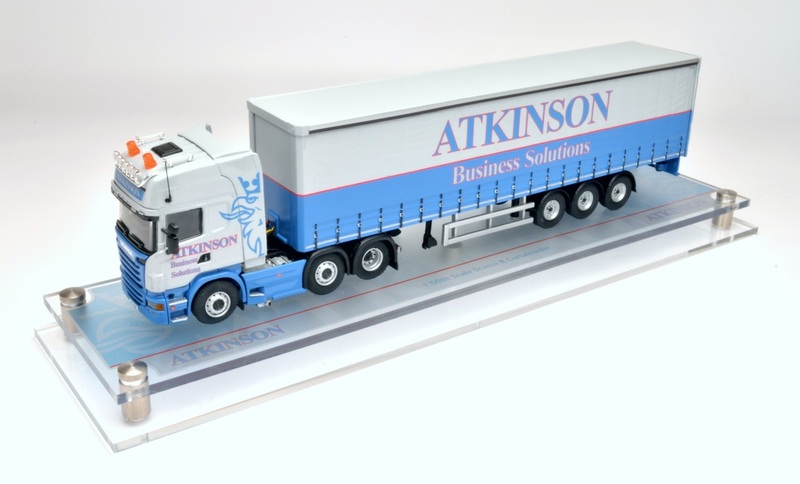 I will be looking in the future to have another model built to promote my new business.